Experience the journey of a diamond direct from mine to finger at any of the three Shimansky Showrooms located in Cape Town, where each prime location offers a unique discovery and insight into the world of diamonds. 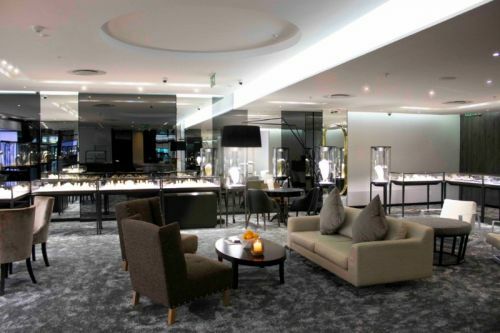 For a unique diamond experience in a luxurious environment, the newly renovated Shimansky Showroom at the V&A Waterfront offers clients an insight into the journey of each unique diamond. Discover a behind-the-scenes view of the Shimansky team of master diamond cutters and goldsmiths as they create unique, bespoke jewellery by hand with hand-selected GIA certified loose diamonds or tanzanite, set in glamorous gold or perfect platinum. 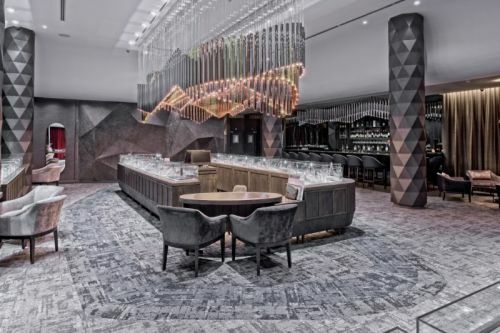 Located on the Upper Level of the Victoria Wharf Shopping Centre, next to Baia restaurant, the meticulously-curated space offers a full-service bar area and a private diamond experience for clients seeking a more intimate, private jewellery selection affair. Open 7 days a week from 9am – 9pm, with extended hours during peak season. Located at the Clock Tower Precinct at the V&A Waterfront, near the Zeitz MOCAA and gateway to Robben Island, The Shimansky Diamond Experience and Jewellery Showroom awaits. Also home to the Cape Town Diamond Museum, this beautiful location, set against the backdrop of Table Mountain welcomes visitors to become part of a 3 billion-year-old story, with tales of a diamond’s journey from formation deep below the Earth’s surface to the point at which it finds pride of place in a prestigious Shimansky Jewellers setting. The Shimansky Diamond Experience is also home to a jewellery showroom, offering visitors an insight into the diamond cutting and polishing process with an on-site jewellery manufacturing workshop and factory. The Shimansky Diamond Experience is perfect for Free Independent Travelers (FIT) as well as Group Travellers. The 45-minute, multilingual tour offers unique insights into the journey of a Shimansky diamond and highlights the craftsmanship inherent in every unique piece of jewellery produced by the team of select craftsmen. The Shimansky Diamond Experience is situated on Level 1 of the Clock Tower at the V&A Waterfront in Cape Town and is open 7 days a week, from 9am-9pm. For more information, visit www.shimansky.co.za. To book a complimentary tour, click here. 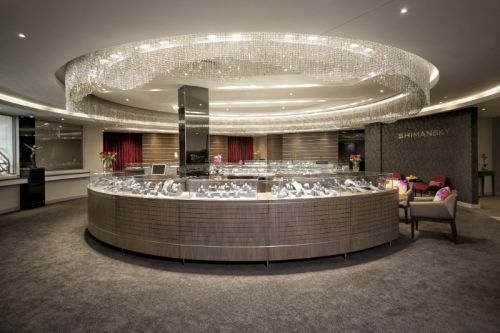 Below Image: The Shimansky Diamond Experience And Jewellery Showroom. The Shimansky Rockwell Diamond Experience is the ultimate interactive showcase of the work of one of the world’s most acclaimed diamond and jewellery brands. At this private and secluded location at theRockwell Hotel in Green Point, groups can experience the captivating journey of the creation of world-class Shimansky jewellery and learn about the cutting-edge techniques employed by the iconic Shimansky brand in creating innovative jewellery pieces with diamonds and tanzanite as their focal point, in a state-of-the-art jewellery workshop. The Shimansky Rockwell Diamond Experience is also home to the Secret Diamond Chamber. Hidden behind a disguised entrance and sanctuary to the secrets of the world’s most precious diamonds, the Secret Diamond Chamber is the most exclusive – and elusive – part of the Shimansky Rockwell Diamond Experience. Inside, small groups and VIP gatherings can experience the story behind each Shimansky diamond. This interactive experience unveils the remarkable journey of a diamond from mine to finger, offering visitors a unique opportunity to touch and feel some of the state-of-the-art tools used in the diamond cutting and polishing process. They will also be able to view the world’s most beautiful diamond replicas, be seduced by shaped stones and experience the passion at the heart of every Shimansky creation. Located in the established Rockwell Hotel on the corner of Prestwich and Alfred Street in De Waterkant, Green Point, next to the Kaapse Stories and close to Gold restaurant the Shimansky Rockwell Diamond Experience operates 7 days a week, from 9am to 8pm. Booking for tours and tailored experiences is essential, via phone on +27 21 440 5277 and via email on tours@shimansky.co,za. Dedicated bus parking is available at the entrance. Incentives apply. To book a tour of the Shimansky Rockwell Diamond Experience, click here.